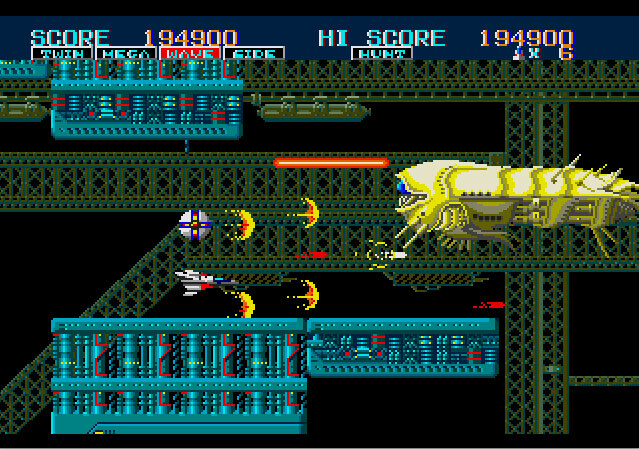 Even in an era dominated by high-end 3-D graphics, sprawling environments, and hundred-hour quests, if you mention the phrase “video game” to a person one of the first images likely to enter his or her head is that of a tiny spaceship sprite blasting away two-dimensional aliens; such is the enduringly appealing nature of the classic shoot-em-up, or “shmup”. 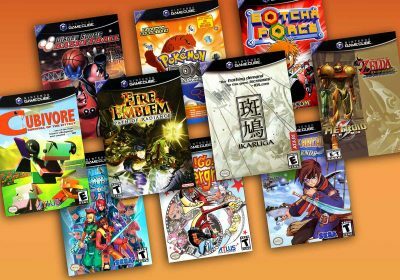 Countless such games have come and gone over the years, some more worth remembering than others, but only a select group can be singled out as truly “defining” components of the genre: the following is our best attempt to honor these special titles, and to tell you exactly why they’re here. Sure, Spacewar! is technically the one that started it all, but it wasn’t until Taito’s terrifyingly persistent hordes of pixelated extraterrestrials decided to (ever so gradually) descend to Earth that humanity lined up en masse for a chance to defend its turf…or at least a seat at the arcade machine. If one name on this list is iconic enough for even non-gamers to recognize, Space Invaders is it: the tank that can only shift left or right while firing straight upwards, the rows upon rows of critters chipping away at your defensive walls, the ever-more-frantic music as the enemy line advances, the occasional warbling bonus UFO, all unmistakable. Though its borderline-ridiculously successful glory days are by now consigned to the history books, Space Invaders’ enormous impact is beyond dispute; original creator Tomohiro Nishikado, as it happens, is still active within the industry today. Invaders has been repackaged and re-released plenty of times, but hasn’t changed as dramatically as one might expect after more than 30 years; that doesn’t mean, however, that the more recent Invaders offerings haven’t done anything interesting in their own right. Fans of the original should definitely check out the cartoony, parody-ridden Akkanvader, the completely reskinned and much-modernized Space Invaders X, the powerup- and bonus-loaded Space Invaders Extreme, and the semi-trippy, evolution-themed Space Invaders Infinity Gene, not to mention offshoots like Space Invaders Get Even. Several of these variations feature cooperative and/or competitive multiplayer modes, and some even allow you to move vertically(! ), but the main idea always remains simple enough for any potential challenger to grasp: blast ‘em all before one of ‘em gets you. Though nearly ever shooter to follow owes a debt to Space Invaders, one very “direct” descendant, Namco’s Galaga, deserves to share the spotlight for a moment. While its older brother Galaxian first attempted to advance the Invaders formula by endowing individual aliens with the ability to break formation and dive-bomb the player, Galaga’s additional enhancements, like a more generous fire rate and occasional bonus levels, have earned it a much more prominent place in gaming lore, as its own lengthy and still-growing series of releases will attest. Anyone who’s ever played it more than a few times still remembers when he first figured out how to free a “captured” ship from the enemy forces to double his firepower – a precursor to both the omnipresent “power-up” and myriad counter-intuitive “suicide strategies” which would grace countless shooters to follow. Its name hasn’t remained in the public eye to the extent that some others have, but this is the point where the shmup as we know it began to emerge in earnest: detailed, scrolling backgrounds split up into recognizably separate levels, a “dual-plane” setup which differentiates between ground- and air-based targets, enemy AI which keeps track of and exploits the player’s inherent weaknesses, end-level bosses with “core” weak points to attack. Hmm, any of that sound familiar? You can thank Xevious (and sole creator Masanobu Endo, whose numerous other credits include Grobda and Tower of Druaga) for bringing it all together in such fine fashion. The original game, after all these years, remains the best-known of the lot; as with the Space Invaders games most of its sequels play pretty similarly, but seeing as the series has become synonymous with “the shooter boiled down to its essentials” you can’t blame Namco too much for stepping back and letting it do what it does best. This is especially true in Japan, where Xevious not only defined the then-fledgling shmup for years to come but inspired merchandise ranging from music remixes to spinoff fiction – even in the USA it received the honor of being the first arcade game to rate its own television commercial. 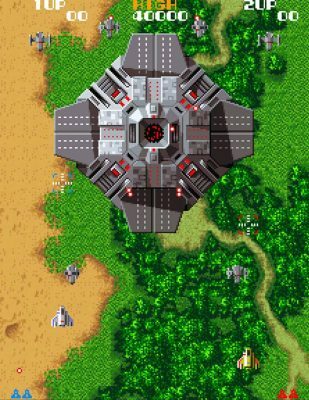 The little gray “Solvalou” player ship, unassuming as ever, has made several enjoyable return appearances since, including the enhanced and expanded Xevious Arrangement, the polygonal Xevious 3D/G, and Xevious Resurrection, a downloadable HD update on the PS3. While not “officially” related to Xevious, Taito’s Layer Section series (which goes by several other names) also deserves a mention here, since it’s the closest thing to a “spiritual successor” that the former has ever received. 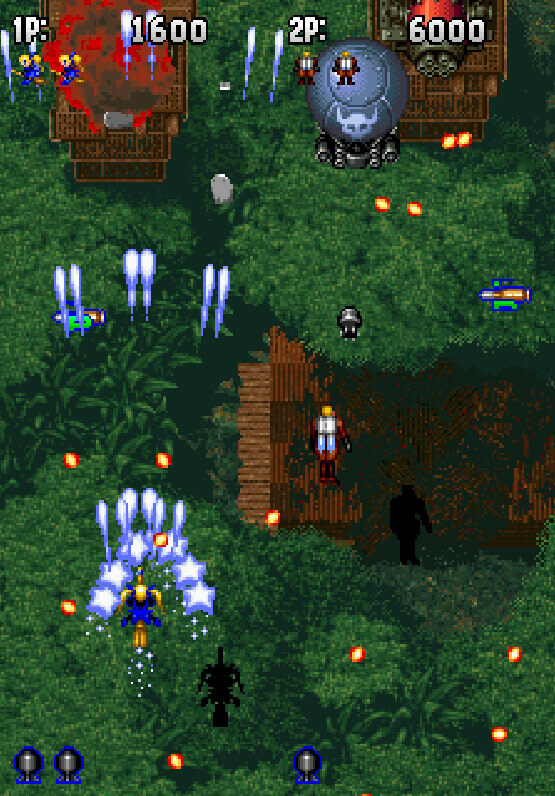 Utilizing a similar “target sight” attack mechanic, primarily for picking off enemies lurking beneath, Rayforce (the series’ first game) stirred a fun-to-use “lock-on” into the mix, encouraging players to latch onto multiple enemies and blow them all away in one shot for bonus points. Sequels Raystorm and Raycrisis built promisingly on this popular central hook, but simultaneously hamstrung themselves by tacking on 3D graphics (which haven’t aged gracefully, especially compared to the high-quality sprites of the original) and inertia-infused ship movement (which hindered control accuracy); despite these unfortunate developments, no other shooters have been nearly as successful in donning the noble mantle first worn by Xevious. In terms of pure technical achievement by a shmup developer during the genre’s heyday, it’s tough to name a more skilled set of artisans than Compile. 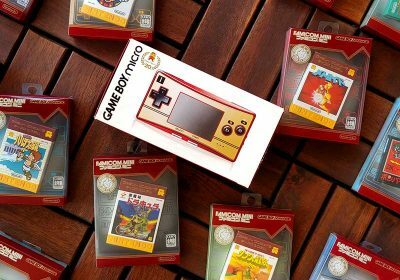 Time and time again they would seemingly defy hardware limitations in the name of bringing awe-inspiring shooting games to the masses; it’s actually kind of difficult to pick just one of their products to single out here. While the Aleste series is the most prolific overall (anyone remember M.U.S.H.A. or Space Megaforce? That’s them), Blazing Lazers is perhaps the best-known release outside Japan…even the more obscure likes of Gun-Nac and Spriggan could well be worth at least a few words (to speak nothing of The Guardian Legend). In the end, however, it’s hard not to hark back to an earlier, especially crucial catalyst for all of Compile’s shooters to follow – an 8-bit tour-de-force known as Zanac. First of all, Zanac establishes a tradition of granting players a wide variety of weapon power-ups to choose from, and awarding a moment of invincibility upon picking one up: fans were certainly grateful for these gifts, since Zanac manages to regularly pump more enemies and unfriendly bullets onscreen than you thought the NES or MSX was capable of, invoking only rare instances of slowdown all the while. Even more interestingly, most baddies don’t appear at pre-determined spots where experienced challengers can simply wait to pick them off: instead, their inherent patterns change based upon which weapon set you’re equipped with, ensuring that you’ll always have to keep on your toes a bit. On the flipside, Zanac is also very generous in handing out extra lives, so with a little practice the game shouldn’t be too hard to make headway in – just be prepared to hang around awhile, as it’s pretty darn long (another Compile trademark). It’s almost a stretch to call it a “series”, but there are a handful of Zanac variations available: the MSX release was first, though an enhanced version for the MSX2, Zanac Ex, is the one most players will be familiar with, as it forms the basis for later ports to the Famicom Disc System and the NES overseas. After this point it was shelved for quite some time, but had not been forgotten by its makers: in fact, Compile opted to grant their classic creation a long-overdue encore just before closing up shop in the early 2000’s. The result, a PS1 compilation titled Zanac X Zanac, includes 3 iterations of the original game plus a brand-new entry, Zanac Neo, equipped with multiple playable ships, enhanced graphics, and a slightly more in-depth scoring system. That it remains so sought-after by players and collectors years later speaks to how fondly shooting devotees still recall Compile’s halcyon days: its fearless in-your-face play style has made waves all over the industry, but is best carried on today by developer Milestone, where several former Compile programmers have set up shop. Frenzied high score chases have always been an important part of the shooting game equation, of course, but back in the early days the top spot on a machine’s list could more often than not be claimed only by someone who had a lot of free time to throw at a gauntlet of infinitely-looping levels. Hudson Soft decided to change all that, releasing a series of so-called “Caravan” games which shifted the competitive focus to bite-sized “score attack” segments, unique singular area packed with targets and secrets – and usually limited to no more than a few minutes’ running time apiece. Players still needed a degree of focus to reap the best rewards, naturally, but weren’t obligated to spend hours upon hours grinding away before glimpsing anything resembling worthwhile progress. In the meantime, those more interested in a “traditional” stage-by-stage shmup could just select the games’ “standard” modes instead, and enjoy unleashing an entertaining variety of weaponry to conquer a friendlier, more familiar challenge. The earliest handful of entries in the series draw their groundwork inspiration from Tehkan (Tecmo)’s early arcade shooter Star Force (ported to the NES by none other than Hudson themselves), which offered a decent handful of ground targets and secret bonuses to shoot for, but the home console front is where things really started cooking, particularly on the PC Engine/Turbografx 16, with the advent of Super Star Soldier and its well-received followups Final Soldier and Soldier Blade, plus cute-em-up Star Parodier for the system’s CD add-on. Their sharp presentations and no-nonsense blast-em-up action can still impress anyone with even a fleeting fondness for a more classic brand of shooting, though subsequent attempts to modernize and/or resurrect the series since that gold-paved 16-bit run have reaped mixed results. Most of the noteworthy “Soldier” efforts, thankfully, have been reissued at least once by now, so there’s little excuse not to give yourself a 2- to 5-minute history lesson (or maybe a bit more) in wanton destructive purity. As has been theorized elsewhere on this site, if someone says “shoot-em-up” and the first mental image you get isn’t of outer space, you’re probably envisioning a historically-based wartime setting instead – and, by extension, you’re quite likely recalling one of Capcom’s “1940” shmups. While not the company’s first foray into the genre, 1942 is the earliest one most people still remember, and the surprisingly rare Capcom shooter with enough legs to spawn a full-fledged series. While the leadoff title kept matters pretty simple (a modest array of enemy types and basic power-ups, plus a limited-use “loop” trick maneuver to escape tight spots), sequel 1943 (and its revision, 1943 Kai) added in, among other things, additional weaponry and a “fuel” meter, which slowly depleted and had to be regularly refilled by item pickups. 1941: Counter Attack (apparently someone at Capcom realized they’d run out of war years to use for titles unless they backed up) mixes and matches elements from its predecessors and bumps up the presentation another level, as do the Raizing-developed 1944: The Loop Master and downloadable PS3 widescreen shooter 1942: Joint Strike. If there was ever a genuine “departure from convention” within this series, though, it came in the form of 19XX: The War Against Destiny, which not only changes the setting a bit but offers players 3 different airplanes to choose from, each wielding a surprisingly vicious lock-on weapon and chargeable smart bomb. All things being equal, though, the earlier, simpler games once again remain the most consistently popular, which speaks to both the potency of the World War II theme and Capcom’s ability to successfully mold a satisfying journey around it, even with relatively limited resources at its disposal; this can be further testified to, in one sense, by the staggering number of imitators it’s spawned. The most illustrious of these is the Strikers 1945 series by Psikyo, which ended up becoming the developer’s most prolific creations, and can still be found waiting patiently for challengers in movie theaters and diner lobbies down to this day. It’s hardly alone in riding the coattails of the “1940” games, of course, and it’s beyond doubt that even if Capcom one day decides to abandon it altogether somebody else will be ready and willing to give us back the keys to the scrappy little P-38 Lightning we’ve grown to know and love. 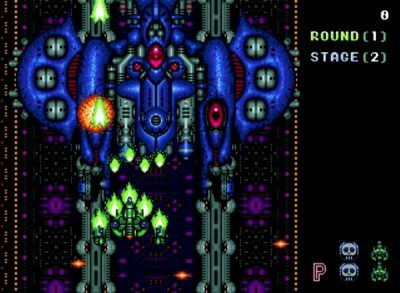 In terms of the “structural” innovations you’d expect to read about herein, the Darius games can lay claim to a handful, such as being among the first shmups to feature branching stage paths, or the “partial” power-down system which wouldn’t render your fighter totally depleted after death. If you get down to brass tacks, though, Darius is first and foremost remembered for its one-of-a-kind aesthetic; no other shooter stood out nearly as much in terms of presentation at the time, and decades later it remains as unmistakable an onscreen sighting as ever. Where else, after all, are you going to find yourself facing down not the usual complement of generic alien battleships but schools upon schools of evil mechanical sea creatures, from sharks to whales to jellyfish to eels to lobsters to anemones? At the end of each zone, of course, awaits the requisite big, nasty boss, whose impending presence is announced via a frantic “WARNING! A HUGE BATTLESHIP IS APPROACHING FAST!” pop-up message – innumerable wise-acres over the years have seen fit to re-use and/or mercilessly spoof it. Even if one elects to take a purely “technical” look at the series, the most skeptical of eyebrows will still end up raised. Just in case the early Darius games’ artwork alone wasn’t enough to grab your attention, maybe the huge three-screen-wide dedicated arcade machines they ran in would do the trick: the series’ most recent coin-op incarnation, Darius Burst Another Chronicle, unexpectedly resurrected this tradition to the delight of longtime fans. Once you’ve plunked in a quarter or two both your eyes and ears will find themselves subject to an all-out sensory assault, thanks in large part to the surreal, otherworldly tunes of Zuntata, Taito’s long-standing in-house band, and their uniquely intoxicating blends of aural static electricity. In Darius’ case the later games (particularly Darius Gaiden and G Darius, which allow players to temporarily capture certain enemies and exploit their extra firepower) tend to be the community’s favorites, though every entry has its rough edges here and there; regardless, once this seemingly-crazy pitch was greenlit back in the 80’s, none can deny that an artistic threshold was crossed for both the genre and gaming at large. The shmup is generally thought of as a fast-paced species of video game, built around the utilization of reactionary “twitch” reflexes above all else, but any player more familiar with the genre will speak to the additional importance of regular practice, including some strict memorization, for success, and nowhere is this lesson better applied than within the confines of Irem’s digital flagship. True, you will indeed need to show off your spur-of-the-moment bullet dodging skills here, especially during boss battles, but making it that far will frequently require precise knowledge of each stage’s layout, which can be earned only through patient, observant trial and error (and/or YouTube replay viewing). Whenever danger approaches (which is often), make sure you’re both headed for the right spot and mentally prepared for what’s coming next; you’ve almost certainly booked an express ticket back to the last checkpoint if you aren’t. 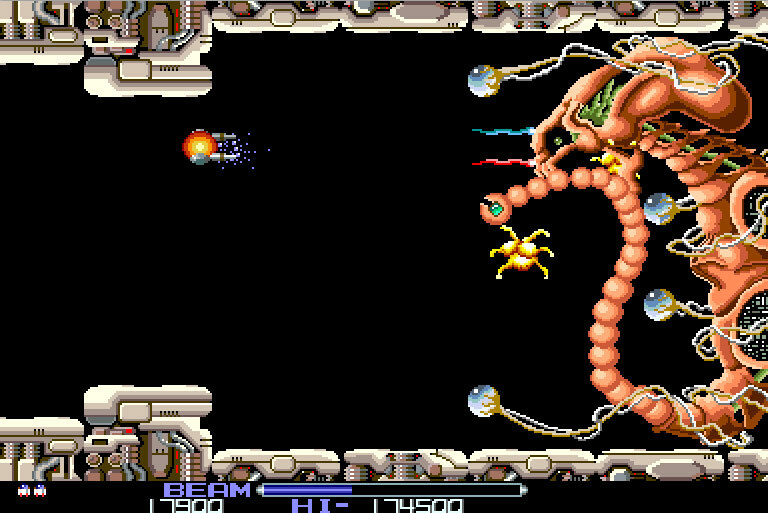 Perhaps to an even greater degree than its heavy emphasis on player repetition and endurance, however, R-Type is best remembered for its two main means of helping players to survive the trials awaiting them: a chargeable main shot (yes, there was a time when it wasn’t a standard feature), and most importantly the “Force” pod. Invincible, detachable and deceivingly versatile, proper use of the Force is absolutely integral if one ever hopes to reach the end credits: proper positioning can stave off a sudden assault from the rear, sneak around barriers to eliminate threats before your vulnerable ship swoops in, and even attach to bosses’ weak spots to bring them down in moments. Later R-Types like Delta and Final introduced different varieties of Force for players to choose from, tricked out with everything from homing abilities to bullet-blocking “umbilical cords”. This indispensable mechanic, not to mention the series’ uniquely Gigeresque visual flair, was (surprise, surprise) quickly ripped off by countless other developers, with varying levels of panache – none, of course, has ever quite managed to hit the same sweet spot with audiences as their inspiration. 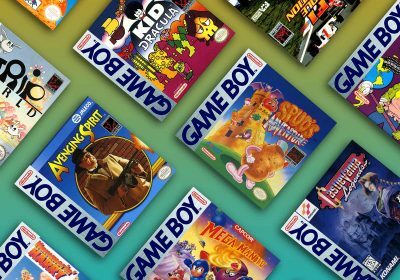 Few developers can stand shoulder to shoulder with Konami, and this goes double when it comes to shooters – several of their earliest titles, most notably Scramble, laid the foundation for innumerable future releases. That said, the words “Konami” and “shoot-em-up” will evoke something else entirely in most listeners, namely an urgent command to “Shoot the Core!” Any shmupper worth his salt is familiar with the ever-rough-and-ready “Vic Viper” player craft (so named for its twin frontal prongs and trailing “option” helpers, meant to mimic the fangs and coils of a snake), and instinctively aims for that small central weak point to blast open the shiny crystal “core” whenever a big baddie comes out to play. Other squeal-inducing highlights for fans include ring-spitting “Moai” (Easter Island) statue heads, rapid-scrolling “speed stages”, non-stop “boss rush” encounters against several major enemies in a row, and the “power-up bar” at the bottom of the screen, which allows players to “cash in” generic collectibles for a buffet line of upgrades in any order they choose. While the “feel” of playing a Gradius game has remained a relative constant over the years, the presentation has rarely failed to impress, no matter the era: the requisite “starry background” is never far away, but so are deserts, caves, jungles, fiery star clusters, deadly floating bubbles and glacier shards, organic interiors, and even patched-together graveyards of bosses you’ve wrecked in previous adventures. Each individual Gradius title embodies its own outgrowth of the original concept: within the “main” series, Gradius II introduces a “Power Meter Select” which gives players additional equipment options, III expands upon this with an individual weapon select, IV layers on 3D graphics, and V (which was actually outsourced to Treasure and G. Rev) allows one’s option pods to be manipulated more directly. Fan favorite Gaiden (“side story”) even lets you freely rearrange the order of the power-up bar: want the Shield to be the very first selection in the row? Go for it! The legendary success of the “named” Gradius games, however, doesn’t fully capture the wider scale of their influence: even if you don’t venture beyond the borders of the shooting genre, not only have outside developers lifted the usual bits and pieces for their own use, but Konami themselves have frequently seen fit to conjure up a slew of spinoffs and tributes to meet demand. Gradius’ closest cousin is the Salamander series, which redeploys the Vic Viper against a different horde of enemies, adds vertical-scrolling levels, and ditches the power-up bar for a more traditional setup (though its best-known variation in the West, Life Force, reinstates it). Then there’s the unapologetically goofy Parodius lineup, which as the name suggests is a no-holds-barred send-up, painting a silly, humorous veneer on top of just about every series convention in the portfolio – while its most recent effort, the fan-servicey Otomedius, hasn’t lived up to its predecessors, it’s at least good to know that Konami, like us, is still willing to take up the fight against those pesky Bacterions. If you’re looking for overblown space operas and dusty battlefield scenes filled to the brim with explosive destruction and danger, shooters have always had plenty on tap: what, though, of those who’d prefer something lighter and more cheerful, albeit without the cheeky, winking antics of a Parodius? 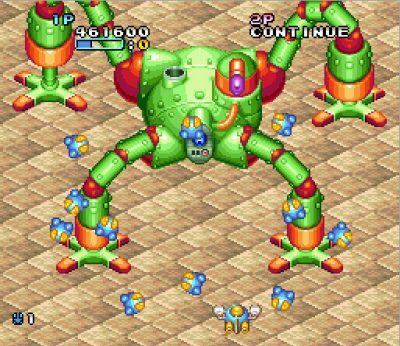 Well, leave it to Konami to once again put together an answer in the form of Twinbee, a batch of shooters out to capture the inoffensive cheer of classic comedy anime, and the godfather of the so-called “cute-em-up” subgenre (their most famous kin is probably Fantasy Zone, a cartoonish take on Defender). The first few Twinbees played a lot like Xevious, right down to the “bomb target” floating in front of your ship to attack ground enemies with – you could also, however, obtain power-ups by shooting clouds to release bells, which could be “juggled” with your bullets to change their color to the upgrade you wanted (easier said than done), alongside a few other unique touches. The second game, localized on the NES as “Stinger”, is one of these, and the entry most Westerners have played. Over in Japan, though, the best was definitely yet to come: in 1991, eager to take full advantage of the technical advances brought to bear since the series’ inception, Konami hired on anime producer Jujiro Hamakawa (better known as Shuzilow HA) and composer Michiru Yamane (who’d eventually gain larger fame for her work on Castlevania: Symphony of the Night) to jazz things up a bit, and jazz up they did with that year’s Detana Twinbee. The series’ most iconic characters (Light, Pastel et al) were introduced, the visuals and sound were given huge shots in the arm, and the airy, appealing personality of the series was rightly positioned front-and-center to the point that it inspired, for starters, its own radio drama series and a handful of OVA productions. Followups like Pop’n Twinbee and Twinbee Yahho! (not a typo) enhanced the endearingly bubbly atmosphere further, packing in additional weapons and abilities, richer graphics and large chunks of voice acting – unfortunately, the “angry and brown” modern era has been especially unkind to Twinbee’s unfettered cuteness, and little has been seen of the series lately, though there are still a handful of cameos to be glimpsed in Konami’s recent output if you know where to look. 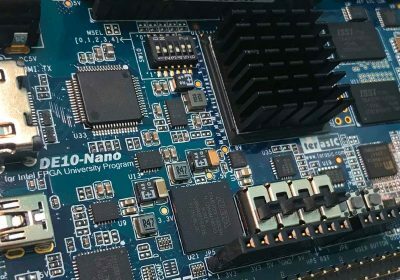 As with Compile, it was clear from the beginning that longtime developer Toaplan had earned itself a place within this article, but trying to nail down their most influential contribution was one heck of an ordeal. 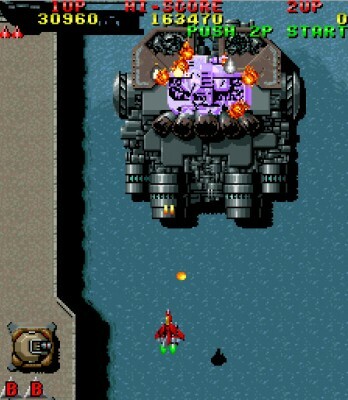 Its very first shooters, the helicopter-centric “Tiger Heli” games, would definitely qualify, as would their WWI/WWII-themed cousins, the “Flying Shark” lineup – both certainly set the stage for the developer’s other famously lengthy and challenging shmups, and occupied prominent positions in countless arcades back during the good old days. When you step back and look at things from a historical perspective, though, Toaplan’s true “defining” moment came about in 1988, when they decided to leave Earth behind and take a trip to the glittering realms beyond: their vehicle for this sojourn was a title known as Tatsujin (“Truxton” in the West). None of the developers could have suspected just how huge this project would turn out to be, let alone what kind of ramifications it would have farther down the road. On a basic level the game is not too dissimilar from its predecessors, aside from an even more infamous reputation for merciless difficulty: where it goes off in its own direction is in how much effort is put into making the experience so immediately engaging, on all fronts, that players will keep coming back no matter how much crushing adversity they encounter. Aside from the blatant appeal to diehards found right in the title (which translates to “expert”), Tatsujin leaves behind the somewhat bland visual elements of Toaplan’s older games in favor of a brighter, bolder brand of spritework which would serve as an emblem for both the company’s mature efforts and its eventual posterity. Stages and enemies are also more varied in nature, with mid- and end-bosses serving as particularly terrifying spectacles for player and arcade passerby alike: even your smart bomb’s explosion, a huge, menacing skull-shaped blast, is something of an icon in its own right. These attention-grabbing “just one more game” ingredients would be further refined not only in the game’s sequel, Tatsujin-Ou (“Expert King”), but in much of Toaplan’s late product, particularly their final shooter, Batsugun. Batsugun, in a nutshell, takes Tatsujin’s “visceral” brand of appeal and overclocks it. The purely superficial allure is still top-notch, of course, but both the player and his enemies have also been powered up beyond anyone’s expectations: both sides can fill the screen with projectiles in mere moments, and the result is the most frantic and over-stimulating shooting challenge ever seen at the time. A subsequent “Special Version” experiments with a number of consequential tweaks, most notably shrinking the ship’s hitbox to allow for a more balanced, spontaneous approach to dodging all that unfriendly fire – just like that, the “bullet hell” subgenre, which would go on to dominate the shooter landscape and carry it through the “lean years” of the late 90’s/early 2000’s, was born. Batsugun deserves to take a lot of the innovation credits for itself (especially since many of its creators would soon set up shop at other companies, and take things in exciting new directions), but it behooves shmuppers to also remember the less-glorified predecessor which affixes this revolutionary title so firmly into genre history. If you mention this series to your gaming friends and they don’t recognize it offhand, try mispronouncing it “Ray-den” (a la the original Mortal Kombat’s selection screen), as opposed to the proper “Rye-den” (Japanese for “thunder and lightning”) – that’ll probably get them on the right track. Though developer Seibu Kaihatsu had flirted with the scrolling shooter once or twice before, it wouldn’t succeed at carving out a lasting niche for itself until 1990, when the first entry in the series proper arrived. Unlike much of its contemporary competition, Seibu has never truly attempted to “modernize” its best-selling series (at least not in the same sense of the word); interestingly enough, this has turned out to be exactly what’s enabled them to stay relevant, as arcade-goers yearning for a bit of interactive comfort food can and will always know exactly what they’re in for. Need a quick primer? The storyline is barely there, the weapon system (including the hypnotically-wiggly “toothpaste laser”) is about balancing out shots with missiles, scoring is heavily reliant on highly obscure techniques, and every enemy is a nasty machine with an evil red gem inside of it…whose bullets ALWAYS move considerably faster than your jet fighter can. Though the games span locales from countryside to outer space and send all manner of these frustratingly-tough adversaries your way (you’ll curse those sneaky “sniper tanks” in ways you never knew you were capable of), you’ll have seen (and been killed by) them all before, and the lot of them are still rendered in the same loving detail as the last time you met. Every Raiden remains characteristically faithful to its “classical” shooter ancestors, though more recent iterations measure in a pinch or two of extra depth for just the right hint of spice. Raiden DX, for instance, is modeled after Raiden II, but gives players three unique “courses” to play through, each packed to the gills with little scoring tricks to exploit; Raiden III and IV not only redo everything in 3D, but reward players for killing enemies extra-quickly, even tempting daredevils with a “Dual” mode in which two planes are controlled at once. 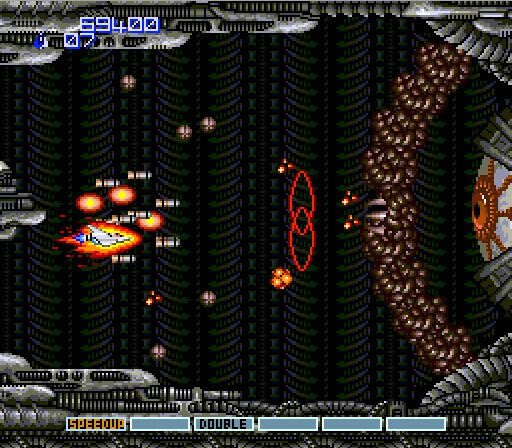 Then there’s the space-themed Viper Phase 1 and the trio of Raiden Fighters spinoffs – the latter, in particular, pour on the adrenaline, offering a large stable of selectable planes, powerful charge attacks, a much brisker sense of progression, and a set of extra-tricky “medaling” systems (no 1-ups though – bonus lives are for sissies!). At a glance it can be tough to spot any particular element which allows such a “generic” shooter to stand out from the rest, but the fact of the matter is that few others can so adeptly bottle the unfiltered appeal of the shmup for mass consumption – near-constant tension, near-impossible odds, huge explosions, no justification needed for any of it. Considering how deeply the shooter’s roots are embedded into the sticky carpets of the arcades of yore, it stands to reason that most of its “defining” specimens hail from there: Tecno Soft’s celebrated blast-em-ups, however, buck this trend, and continue to occupy an extra-special corner of the collective gaming consciousness. Shmuppers whose “careers” reach back far enough usually praise the Sega Genesis as the superior 16-bit shooter console over the Super Nintendo (for the sake of brevity let’s not bring the TG-16 into this scenario), and no singular factor is more directly responsible for this disparity than Thunder Force – while its origins lie on Sharp, NEC and Fujitsu computers as an overhead free-scroller, the developers soon began experimenting with side-view segments which would come to exclusively define Thunder Force III and IV, the most consistently beloved of the bunch. Combining groundbreaking graphical showcases, tour-de-force synth-rock soundtracks, and breakneck pacing paired with accessible difficulty, these two are always the first Thunder Force recommendations from those in the know. As with Raiden in the arcades, one of the series’ strengths on consoles was its ability to keep things simple and clean: while players could tackle certain stages in the order of their choosing, as well as switch between up to five different weapons and adjust their movement speed on the fly, there was no real scoring system to speak of, as the inherently-unpretentious excitement of the trip itself was enough to keep audiences glued to the TV screen. 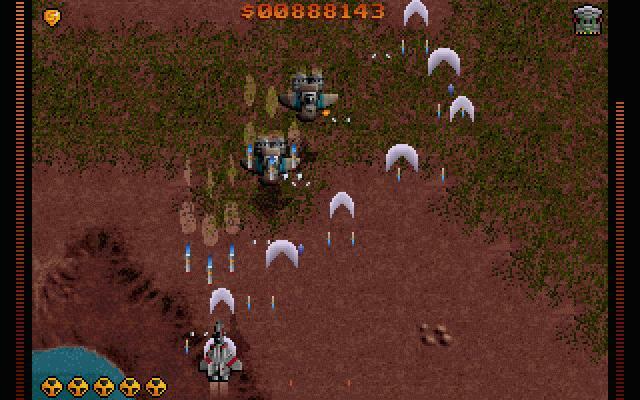 Tragically, as with much of the “old guard”, recent years have not been particularly accommodating to the likes of Thunder Force – during the 32-bit era the developer made an ill-advised attempt to “update” itself with polygonal graphics, a “super weapon” mechanic and a rudimentary scoring system, but the former have not held up particularly well and the latter ended up throwing off the weapon balance. Sega itself even took a shot at resurrecting the license on the PS2, but was unable to shrug off many of the mishaps that plagued the previous game. While Thunder Force’s time has likely come and gone at this point, its highlights are still fun to play any time the urge strikes you, alongside the rest of Tecno Soft’s catalog, nearly all of which borrows a page from their famous sibling – and who can blame them? So you feel like playing a shooter, but at the moment you’re not in the mood for an “old-school” game…and you aren’t really looking for a modern “bullet hell” experience either. What to do? Psikyo is a good choice of developer to bridge just such a gap, and while nearly its entire catalog sticks to many of the standards established by inaugural title Sengoku Ace, their sophomore effort and its sequel have best succeeded as ambassadors of sorts to the fans and the rest of the industry. Rapid, random-ordered stage progression, multi-transforming “Russian doll” bosses, a less-than-serious (but not quite “cute”) setting, and slow but powerful charge-up attacks are among the constants – and utilizing the latter at the proper time is incredibly important. Larger enemies blanket the screen with very fast bullet clusters and the player hitbox is a bit too large to frequently squeak through on reaction, so having a well-placed charge ready to go can be a big help in bringing them down before matters get out of hand. Thankfully, colliding with an enemy (as opposed to a bullet) won’t kill you, but will power down your weapon instead – savvy players actually take advantage of this to soften the finicky rank a bit. Gunbird 2, released several years later, takes the first game’s combination of aimed-shot anticipation and all-out aggression (not to mention the challenge level) to a whole other sphere: the slightly irritating “ammo-based” power-up system (a holdover from Aero Fighters, producer Shin Nakamura’s shooter projects with an earlier company) has been retired, and charge attacks are now supplemented by quicker, more user-friendly “melee” strikes, which not only makes getting in enemies’ faces feel more natural but better balances out the cast (just watch your energy meter). The coin-based scoring remains simple in concept, but has welded on a timing mechanic to make the hunt more interesting, not to mention hidden “gem head” awards to uncover. The result is an attractive and easy-to-grasp but VERY tough-to-master shmup…especially if you can make it to the second loop. Psikyo’s inherent way of doing things leaves their games neither as “strict” as old-time shooters nor as “freeform” as danmaku, but even after the company’s closure retain a healthy, devoted fanbase (and many fly-by-night clones); Gunbird, whose “main” character Marion makes a handful of telling cameos within other Psikyo titles, has arguably done more than any of its peers to keep the party alive. As one of the few “stand-alone” titles on this list without a series to back it up, it should go without saying that Battle Garegga, notwithstanding the enormous influence it boasts, remains a stark monolith, standing proud and alone, separate from the rest. As a vertical scroller filled with aircraft and other machines inspired by the WWII era, on the surface it could pass for a lost entry in Capcom’s “1940” series, though the gritty, super-detailed spritework and intense, pounding score give off a harsher edge: as it turns out, that’s just the tip of the iceberg. While the basic weapon and scoring systems aren’t particularly complex (though there are secret elements to uncover for both, not to mention a selection of hidden characters, a hallmark of developer Raizing), the game’s real star is something that you never get to see out in the open but will constantly feel nipping at your heels from beginning to end: the “rank” system. Basically, as the game progresses and your plane grows more powerful, enemies become stronger and more aggressive, to the point that if you remain too focused on building up your arsenal early on victory will be nigh-unattainable in the later levels. Unlike nearly every other shooter ever made, Garegga encourages players to deliberately spend as much time on the brink of defeat as possible: keep weapon levels as low as you can manage without totally under-powering yourself, expend most of your bombs on scoring targets instead of last-ditch defenses, and even regularly sacrifice spare lives to keep the tirelessly-climbing rank in check. This approach takes a fair amount of getting used to, but rewards thrill-seeking players with a primal high unlike any other: more importantly, Raizing’s extreme focus on rank manipulation and seemingly-self-destructive strategies kicked the door wide open for further experimentation and risk-taking not only in-house but by other studios (the high amount of enemy bullets present onscreen at high rank has itself been named as an indirect inspiration for the “bullet hell” style). 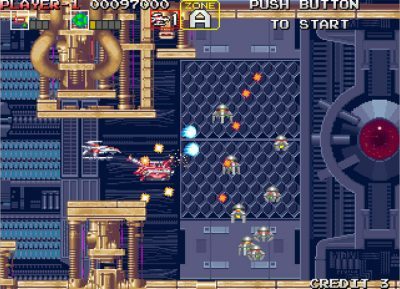 No shooter since, for better or worse, has been bold enough to send its challengers to quite so harsh a boot camp as Garegga’s, and chances are good that it will continue to exist in steely solitude. As detailed previously, Toaplan’s stylistic evolution culminated with Batsugun, which laid the foundation for a brand new era of shooters, including those by Cave, one of Toaplan’s successors: Cave’s signature series, not surprisingly, remains Batusgun’s most decorated descendant. 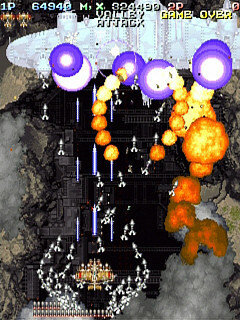 Aside from the “bullet-hell” conventions already covered, Batsugun also toyed with the idea of players altering their shots by either tapping or holding the fire button: DonPachi took the concept a step further, allowing these to not only “focus” their attacks into a more powerful stream but to simultaneously slow their rate of movement, eliminating the need for a separate “speed” button when additional precision was needed. This simple, intuitive device has not only reappeared within many of Cave’s subsequent titles, but has established itself as something of a standard addition to most modern shmups. The second prominent feature popularized by DonPachi is “chaining” – while other companies’ titles had tiptoed around the concept, never before had it been placed into such a critical role or demanded so much from players. Instead of blowing away every enemy the moment it appears onscreen, bonus hunters are required to “space apart” their kills into one long, unbroken sequence; enemies left alive longer in this pursuit, of course, will keep attacking, and even small timing or positioning mistakes can force you to start the sequence over from the beginning. Depending on who you ask, the rising prominence of “chaining” (due in large part to DonPachi’s popularity) represents either a true test of player skill and dedication or a overly-exacting distraction from the spur-of-the-moment thrills that the genre is supposed to provide; either way the system has been remixed countless times by now, in various guises, many of them more forgiving than their forefather’s. It might be said that a trip down the DonPachi series’ timeline largely corresponds to the larger path the shmup itself has walked during the past decade and a half. The first game, despite having one foot planted in the modern era, also recalls the “old-school” Toaplan spirit of years past, while its sequel, DoDonPachi, more decisively embraces the “bullet hell” label and places even heavier emphasis on the scoring system, setting a new genre standard and becoming a huge hit in the process. As the shooter was forced into commercial retreat a few years later, Cave both licensed out the property to IGS for a “semi-canon” third entry (Bee Storm) and programmed the fourth, Dai-Ou-Jou (“peaceful death”), itself; grim, tough as nails and even more unforgiving during high-end runs (thanks to the powerful-but-risky Hyper item), it aptly conveyed the market’s increased reliance on the long-time, battle-hardened fan sector (and was also Cave’s first game to receive a tweaked “Black Label” revision). Finally came Dai-Fukkatsu (“big resurrection”) and Sai-DaiOuJou (“greatest happy death”), which throw in a bit of everything, offering all types of players (including mobile phone gamers) something to enjoy; wherever the shooter is headed next, Cave and the DonPachi series will almost certainly be there to usher it in. Though jarringly disparate in their approaches and technically related only in a “spiritual” sense, both of these Treasure-developed works had a similarly sudden and dramatic impact on the shooting scene when they first appeared, and continue to exert a surprising amount of pull down to this day. 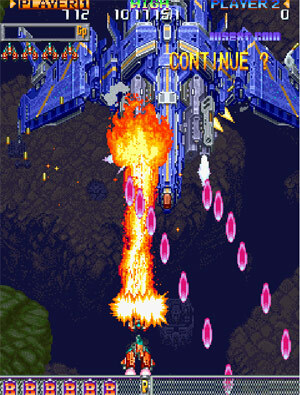 Let’s start with Radiant Silvergun, which surfaced just as the “bullet hell” shooter was coming into its own – many others at the time were more intent on distilling the brief, simplistic, and intense atmosphere of the arcade into ever more concentrated doses, but Treasure decided to take things in a different direction, aiming instead to create the most “sweeping” shmup on the market. Not only does Silvergun grant players access to seven different weapons at all times (including a short-range sword that can absorb certain enemy shots), but it requires them to master the game’s own tricky brand of “chaining” to power them up (learn it quick, or find yourself under-equipped later on). Factor this into a lengthy, exhaustingly difficult boss- and trap-laden quest built around a dense, timeline-hopping story, and Silvergun remains the gold standard for anyone striving to build a shooter worthy of the “epic” moniker. Then, of course, there’s Ikaruga (literally “spotted dove”), one of the few shmups that’s succeeded in finding a foothold among fandom and press alike in an increasingly-dismissive West – unlike its grandiose pseudo-predecessor, however, Ikaruga accomplishes this by exchanging scope for simplicity. The player is now confined to one straightforward “main” weapon and sent on a much shorter quest; most of the game’s attention is instead fixed upon a single gimmick, the “polarity change”. Every enemy in the game is either black or white in color, and likewise shoots either black or white bullets – your ship has the ability to change its own shade back and forth at will, either to absorb like-colored shots or do double damage to opposite-color enemies. Chaining is still here (as is a pretentious storyline), but a bit more freeform, and isn’t tied to weapon strength, so more casual players can still enjoy the game despite its stiff challenge; by the by, Ikaruga even snuck in a rarely-seen “non-aggressive” approach via its “dot eater” play variation. Rumors have been circulating for a long time of a “Project RS3” to follow up these two intriguing specimens, but even if it never happens Treasure can still claim more than its fair share of notoriety within the shooter circuit as it is. 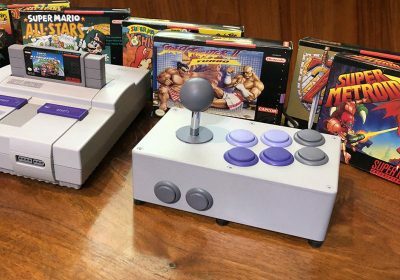 Late-blooming shooter fans might not recognize this pair so readily, but those familiar with the mid-90’s PC arena, especially in Europe, may well have already succumbed to nostalgia and reinstalled them. These two games come courtesy of totally different developers and are not actually related in any way, but it’s hard to name one without the other when it comes to discussion of the so-called “Euroshmup”, which rends the fanbase asunder like few other topics can. Raptor came first, boasting meticulous Raiden-style visuals and an inter-stage shop where players could buy most of their upgrades and shield energy refills. Those used to the tighter, more precise style of many Japanese-developed shooters, however, might find the level layouts and general flow of action comparatively clumsy, especially since a measure of “grinding” easier areas is required to save up enough money for the weapons necessary to survive later. 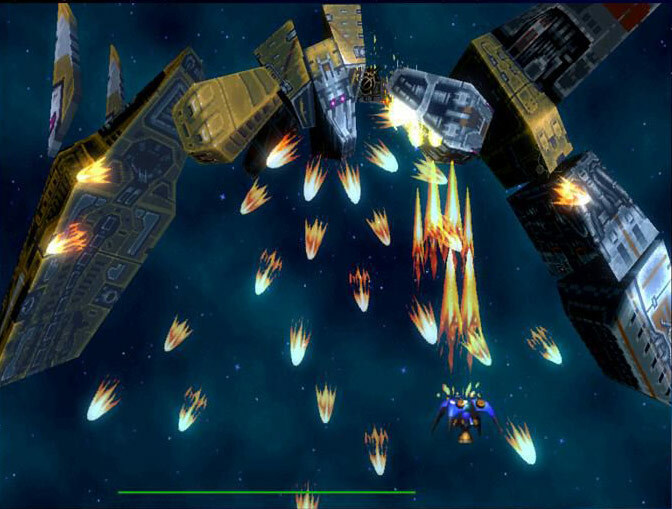 Like it or loathe it, Raptor is explicitly designed to appeal to a different class of player than most shmups, and this has kept the game popular within its native territories, which aren’t otherwise known for their genre affinity; so popular, in fact, that a series of tweaked releases for various platforms have hit the internet as recently as 2011. Tyrian, published by none other than Epic Megagames of Jazz Jackrabbit, followed about a year after Raptor but instead adopts an “outer space” veneer and a less-stark tone overall. In many other respects it apes Raptor pretty closely: vertical scrolling stages, mid-level shop, bold spritework, customizable weapons, lots of generous shields to cancel out sometimes-unavoidable hits. Instead of deviating too far from proven success, Tyrian simply offers more for players to tinker around with: the assortment of tweaks and armaments for your ship is wider, a remixed “Arcade” mode (which features 2-player) is included, and hidden levels, references to various other video games, and even a few minigames are sprinkled about (and as with Raptor, later revisions, some of which were conceived quite recently, toss in even more). Again, not everyone is enamored, to say the least, with the core games beneath all the trimmings, but Raptor and Tyrian have both failed and succeeded in ways that their more prestigious relatives have not, and inspire just as many imitators and pretenders: whatever your feelings, their continued presence simply can’t be disregarded. Shmups might not see as many retail releases in this day and age as they once did, but look a little deeper and you’ll find that homemade “tributes” to fans’ favorites are absolutely everywhere, especially on home computers: a handful of talented “doujin” studios have actually managed to carve out respectable careers for themselves from humble beginnings, though none has come close to matching the stupefying success of a Japanese programmer known as ZUN. While his long-running “Touhou” (literally “Eastern”) series was born on the PC-98 and spans multiple genres, its most popular selections by far are a batch of scrolling shooters developed for the Windows platform. 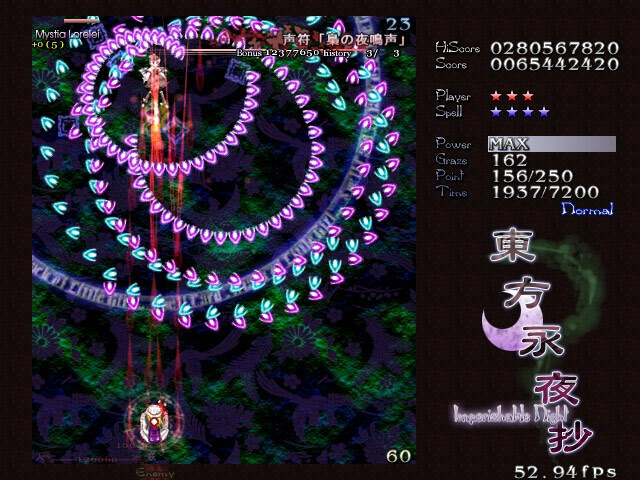 Starring a dozens-strong cast of young girls with mythology-based supernatural powers (who have themselves become nerd celebrities of sorts), the basic gameplay is similar to Cave-styled vertical “bullet hell” (which ZUN names as his primary inspiration, though ADK’s Twinkle Star Sprites is another), but frequently packs the screen even more densely with intricate enemy attack patterns, earning themselves the distinct “danmaku” (“curtain fire”) label. Interestingly, these so-called “Shanghai Alice” titles have actually ended up influencing Cave in return; not only have the latter branched out into similar “moe”-themed territory in recent years but have adopted some of ZUN’s more user-friendly gameplay features, such as visible player hitboxes and a take-your-pick smorgasbord of modes and difficulty settings. Other Touhou trademarks, like emphasis on “grazing” close to enemy attacks, the ability to quickly bomb and save oneself even after being hit, and multi-layered scoring techniques haven’t strayed as far from home, though ZUN’s fellow amateur hopefuls certainly haven’t ignored them. Obviously the games’ presentations can’t measure up to those of studios with dedicated artists on staff, but the music compositions are at least as big a surprise hit as the games they come from, having inspired a bevy of remixes. Unfortunately no plans exist to “officially” localize any of the Touhou games, but fan translations are out there (and everything’s plenty playable even without them), so if you want to see for yourself what all the fuss is about there’s little reason not to download a demo or two at least. Twinkle Star Sprites series – You might have caught a brief reference to this pair of distinctive “versus puzzle shooters” in the preceding segment, but the fact of the matter is that only a meager handful of games over the years has opted to follow in Twinkle’s bright, sparkly footsteps: that said, none can more capably sport the coveted label of “cult hit”, not to mention radiate so much effortlessly-disarming appeal to non-shmuppers. Cute on the outside and ruthlessly competitive on the inside, anyone who’s ever convinced a hesitant girlfriend to try this one will attest to the sheer joy of summoning forth a giant birthday cake of death to smite your opponent; if any other gamers happen to be nearby, at least one of them is all but sure to chime in and concur. Giga Wing series – Genre regulars memorialize Takumi’s Giga Wing as something of a pioneer in the field of “bullet-based” scoring systems, based around a central “reflector” mechanic that would long outlast the developer itself: most every other gamer who caught sight of it in real time, though, including a horde of hostile media reviewers, is more likely to recall how “unfair” and/or “impossible” it looked to them. For many, Capcom’s decision to localize the first two Giga Wing titles for the Dreamcast in the West served as a sudden, unexpected first taste of “bullet hell”; its heaping helpings of enemy aggression both terrified and fascinated gamers to a degree not seen again until the “Hardest Boss Ever” footage from Mushihime-sama Futari surfaced on YouTube years later. Cho Aniki series – While it’s tough to come up with much in regards to concretely noteworthy effects this…unusual series has had upon the rest of the gaming world (unless Muscle March could be considered a spiritual sequel? ), the fact that just about anyone reasonably up on their geek lore is very, VERY much aware of its existence must count for something. Proudly flaunting more pumped-up dude flesh and phallic imagery than the rest of shmupdom combined, if you ever feel a hankering for a game which will almost certainly have you and any politically-incorrect guests you’ve invited over howling with laughter and shaking your heads in utter disbelief at what you’re seeing, break out one of these excessively manly shooters. Zero Wing – Yeah, I know that the joke has long since run its course at this point, but a quick tip of the hat is still due the otherwise-obscure shmup responsible for the infamous “All Your Base” meme: in case you weren’t already aware, the notorious intro sequence that started it all was not part of the original arcade release, but is found only on the European Mega Drive home port. The game itself is sorta-notable for its implementation of both Thunder Cross-esque vertically-aligned options and a short-range tractor beam that can capture certain enemies, but let’s face it, if you’re playing this thing it’s for one reason only: Great Justice. Thanks as always to the members of the shmups.com forum for their help in putting this one together, and to Racketboy for his patience! Also, thanks to our friends at HG101 for many of the screenshots. Twin Bee is included, I can now live in peace. Just in one occasion I disagree. Gunbird was just one of the developments on Aero Fighters/Sonic Wings, which should be considered more influential overall. Gunbird could’ve been paired with Dragon Blaze as Psikyo’s apex. There was a lot of back-and-forth on which “Psikyo-ish” game to include here: while Sonic Wings is definitely more of an “archetype” for that whole subgenre, Gunbird ended up refined to a greater degree and became an overall more “iconic” entity in the minds of most gamers, though SW was probably more purely influential. Had to go in one direction or the other, and ended up leaning towards Marion and company (though I did make sure to give SW a quick mention). Good article. Nice to see that Battle Garegga gets the attention it deserves, no other shooter gives you that kind of thrill. 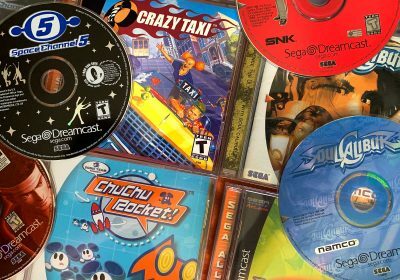 At some point, we can resume a good part of the article by saying : ” Get a Sega Saturn! “. I can only agree with that. Defender was definitely in the running when this thing was being planned (and was kinda-mentioned in the Twinbee section), but in the end didn’t quite make the cut, as it wasn’t as “centrally” vital to the side-scroller as earlier titles like Scramble (which itself got only a namedrop in the Gradius segment). It hurt a bit to leave him out, but RB would probably kill me if I started making these things longer than they already are! I’m still on the lookout for a Neo-Geo with an authentic Twinkle Star Sprites cart in. It’s literally the only capable platform in the world I haven’t played it on. what about “Silver Surfer” for the NES???? Great article, even though I also miss Defender. From a technical standpoint it was a major breakthrough and it is still a fantastic, challenging game. Nonetheless, congrats! It was a great read. No coverage of my all time favorite Under Defeat???? Great list for my favorite genre. Glad to know there are others who appreciate great games like RayForce and Thunder Force III. Have to say, Radiant Silvergun and Ikaruga are two masterpieces from Treasure. Great list, really liked it. Although I certainly missed the amazing Einhänder as well as honourable mentions to some newer efforts in revitalising the genre like Söldner-X/2, Zeit², Deathsmiles and Sine Mora. No love for Compile’s stuff, like M.U.S.H.A. (Mush Aleste in Japan) and Spriggan? D’oh… just reread the part about Zanac. Duh. JC, I know how you feel, but unfortunately the gameplay features the Zero Gunner series and Under Defeat brought to the table weren’t really picked up afterwards so they can’t really count as defining. It feels weird to read that Touhou might have inspired Cave on some aspects when I remember an interview with Ikeda where he showed contempt for the Touhou series. @Presidente – I could ALMOST see Einhander on there as it’s one of the better-known shooters overall, but I’d stop short of calling it “iconic”, especially seeing as Square has barely touched the genre with a ten-foot pole since, heh. @Temia – Funny you should mention it, because there was recently a topic on the shmups.com forum about Avenger for the PCE-CD, which had similar mechanics some years before…on that note, so did one of the characters from Sonic Wings. And yeah, the SNES port of Raiden isn’t exactly held in the highest esteem, heh. He says among other things that though it’s great that doujins exist, they cannot be seen as rivals, because games made by professionals are oriented towards the final consumer pleasure, while doujins (Touhou is mentionned in the question but not in his answer) are made primarily for their creator’s pleasure. And answering another question he says that hiring a doujin maker wouldn’t be possible because their motivations and point of view are different than those of the game industry. @bing – That hardly sounds like “showing contempt” for the series. You could also read that as saying that doujin makers are able to work independently and wouldn’t even want to work in the industry.